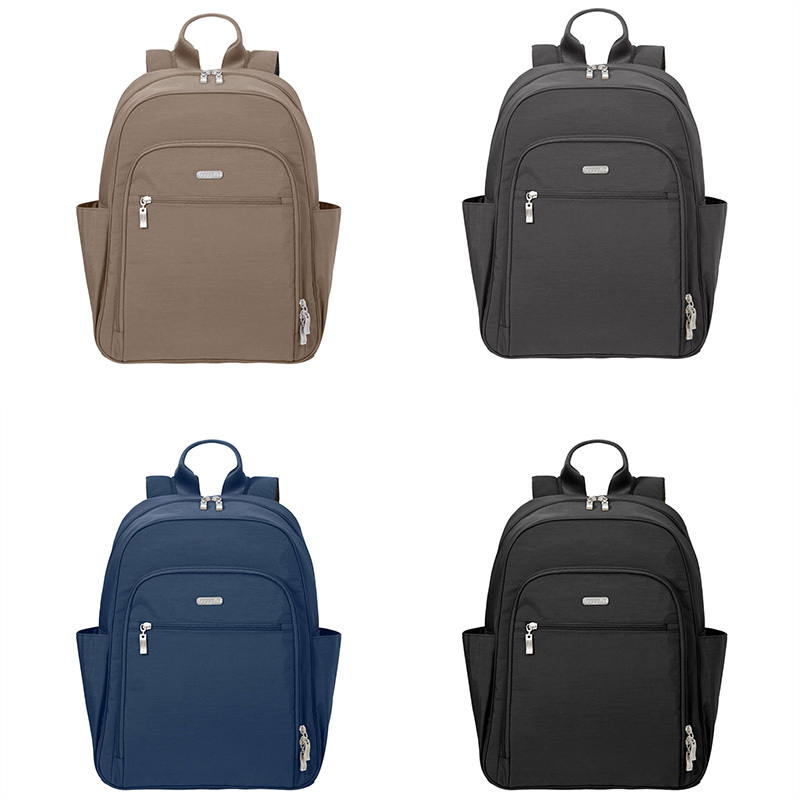 Baggallini offers a versatile women’s backpack for work, travel and errands with their RFID Essential backpack. The roomy main compartment and additional organizers and pockets are perfect for everyday essentials like books, files and personal items. Sophisticated design won’t look out of place at the office. 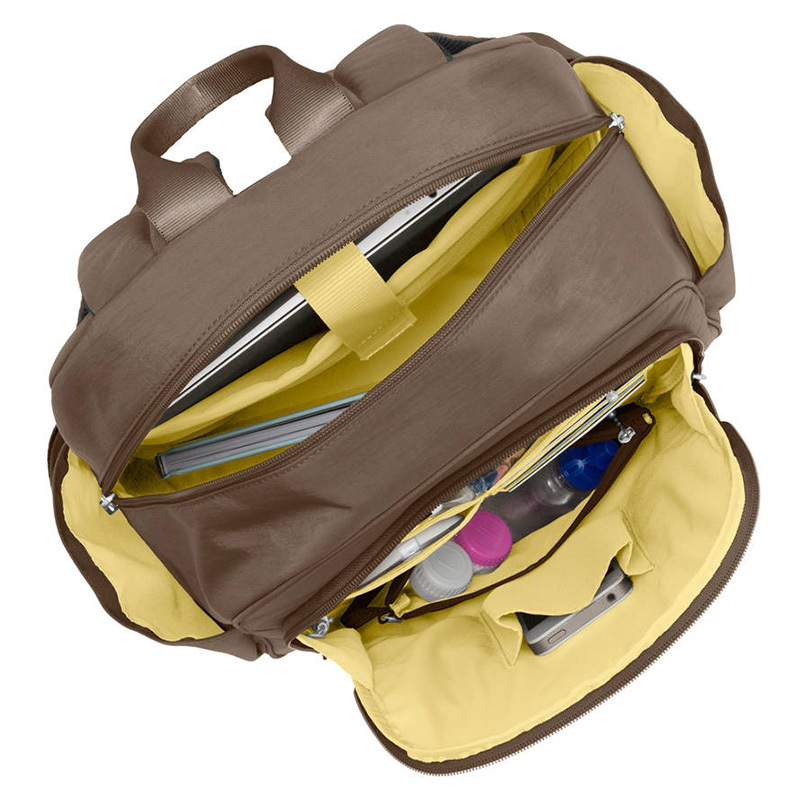 Includes trolly sleeve so that the backpack can be carried on luggage handles when you travel. Small enough to be considered a personal item at most airlines. Backpack itself doesn’t provide RFID protection. Instead Baggallini includes a removable RFID wristlet.